Time to enjoy your Highlander with crystal clear water from St Colman’s Well. 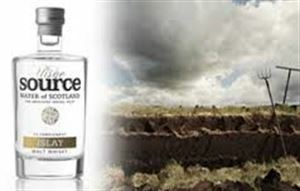 Bottled by Uisge Source at the Ardilistry Spring on Islay and a wee acidic. 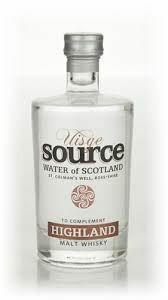 Water from the Cairngorms Well gives Aberlour, Ardmore, Balvenie, Glenfarclas, Glenlivet, Macallan and all other noble Speysiders that special flavour of their motherland.